The scales are kind of neat. They’re a slip stitch pulled up into the next rounds. It’s a rather clever way to create the look of scales. I tip my hat to the designer. Hi! 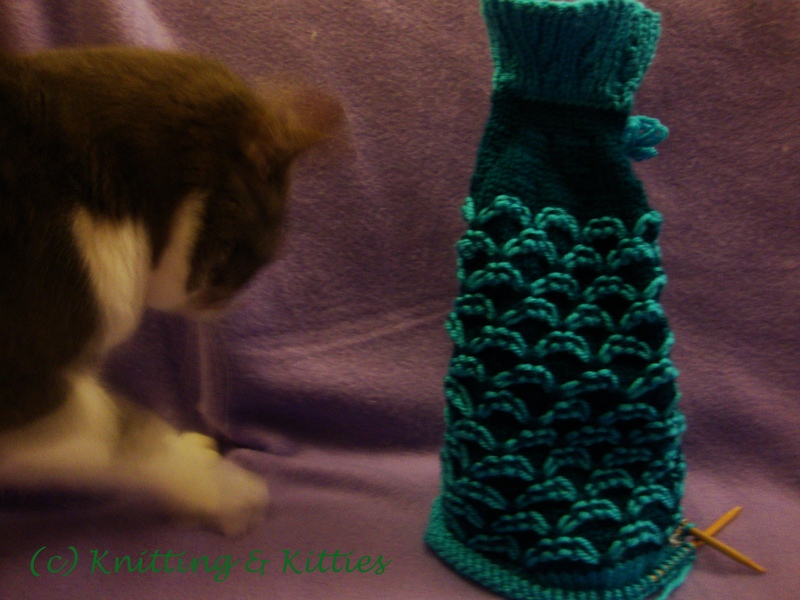 I love cats and I love yarn. 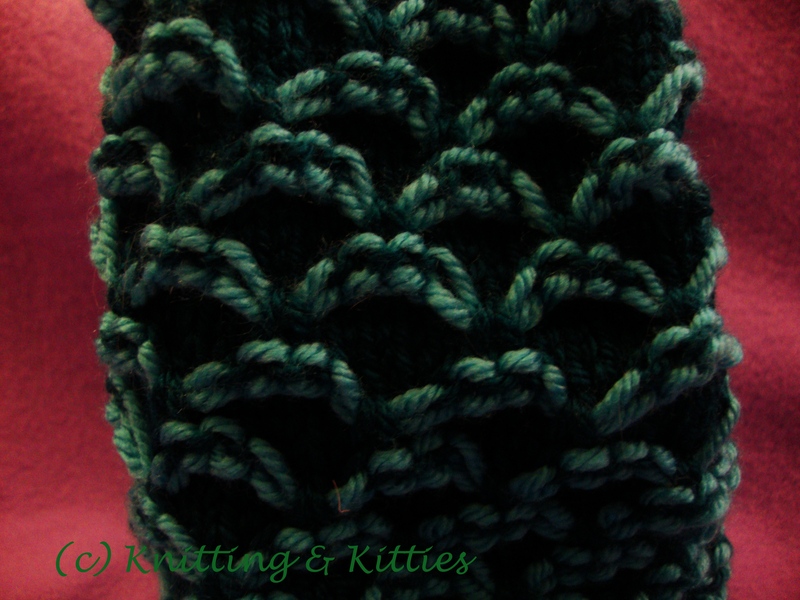 Knitting and kitties are two of my favorite things! 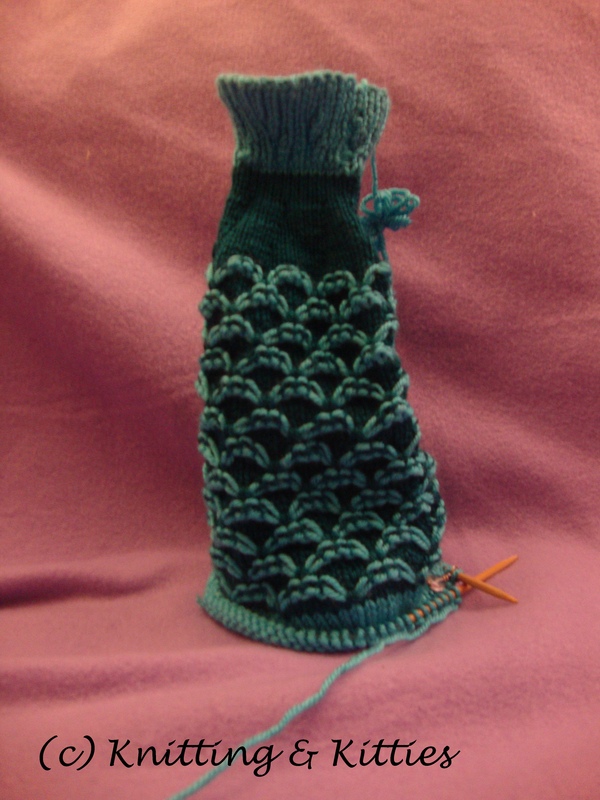 This entry was posted in cats, gift knitting, WIP. Bookmark the permalink.